Creating a beautiful lawn requires hard work and patience over several growing seasons. You won’t be able to fill out your lawn or green up your grass overnight. To achieve a lawn your neighbor’s will rave about, it’s important to be patient, do your research, and stick with your plan for several years. When you’re looking to target and control weeds in your lawn, you need to know what you’re up against. There are several families of weeds, and there is no silver bullet herbicide or manual process that will kill them all. 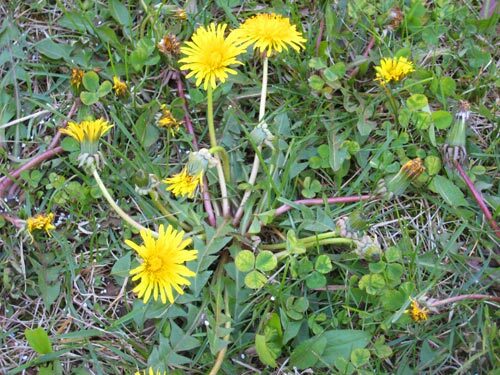 This article examines the eight most common types of weeds found in lawns (divided into two overarching families), how these weeds spread, and how to remove them and keep them from coming back. It’s worth noting that this article focuses heavily on herbicide-based control of weeds in an otherwise healthy lawn with good soil conditions. The reality is that the existence of weeds in your lawn could be an indicator of problems that cannot, or should not, be fixed with herbicides alone. For example, highly acidic soil will hinder the growth of a full, thriving lawn and will therefore promote weed growth. You may be able to abate the spread of weeds with herbicides even with acidic soil conditions, but if you don’t fix the underlying issue using a yard lime or other PH neutralizer, strong grass roots will never take hold, and the weeds will come back quickly. Instead of 1-3 applications of a weed and feed type product, you could get caught in a cycle of repeated applications that never seem to fully create a change. A strong lawn not only soaks up nutrients and water from the soil, it also blocks sunlight from reaching weed seeds that deposit in your lawn. This prevents germination and growth, and allows for the use of less herbicides over time. Before getting in to specific weeds, it’s good to understand at a high level how weeds spread from one area to another. Just like desirable lawn grasses, weeds grow from seedlings to mature plants, which in turn develop and release new seeds. These seeds can travel to new growing areas by several different means, some of which you can’t do anything about, and some of which you can. Wind– Think about dandelions and how their seeds float effortlessly on the breeze. Many different weeds like Common Milkweed and Horseweed spread in the same way. You cannot control whether or not your neighbor allows dandelions to infest his yard, and therefore you cannot control whether your lawn will be subject to your neighbor’s dandelions’ seeds! Water– It’s common for weeds nearby waterways to travel downstream, and through drainage systems and water runoff. Some weeds that travel via water include Purple Loosestrife and several of the Dock weed varieties. 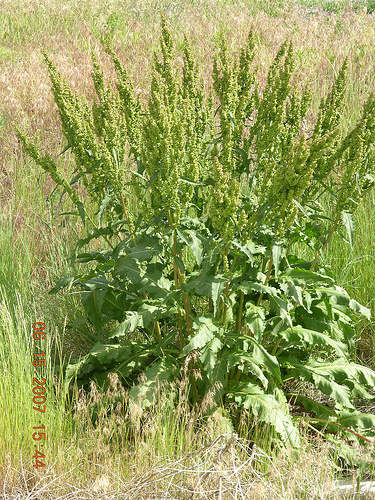 Pets and animals– Weeds, like Curly Dock, can be transported when an animal eats the seeds or foliage and later passes them in another location. English Plantain and others can latch onto fur to be deposited elsewhere. The bottom line is that weed seeds will make it to your lawn one way or another, so it’s really a question of how to prevent that seed from germinating. Most lawn weeds fall into one of two categories: grassy weeds and broadleaf weeds. Lets examine the characteristics of each category. Grassy weeds are more difficult to visually identify because they are an actual grass. Most grassy weeds are annuals, which means they die over the winter, and grow from new seeds each year. 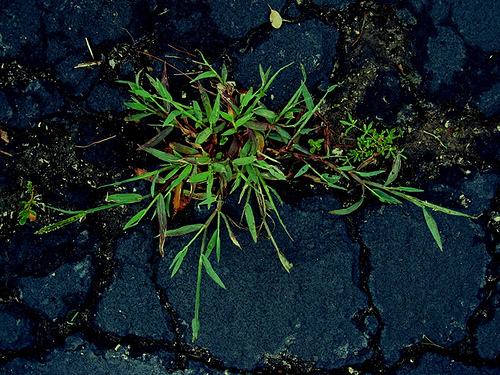 Grassy weeds are difficult to remove once they have sprouted. The best strategy is to prevent them from germinating in the first place. Crabgrass is the most notorious grassy weed. This summer annual is characterized by a crab-like appearance with 2-8 bluish-green flat leaves extending from the center. Crabgrass is very difficult to remove after it has sprouted. It grows best in full sunlight and flourishes in weak and patchy lawns. It is more tolerant of acidic soil that desirable lawn grasses. You can eliminate crabgrass by encouraging a full, thick lawn which leaves nowhere for crabgrass to take hold. Achieve this by following best practices like not mowing your grass shorter than 2 1/2 inches and not over-watering your lawn. Spread fertilizer in the fall after the crabgrass life cycle ends to stimulate additional grass growth. To prevent crabgrass seeds from germinating, apply a pre-emergent in the early spring. Put down a pre-emergent herbicide when the soil temperature rises into the 50s and 60s, and water your lawn to better establish the protective barrier. Applying it too early or too late in the season will make it much less effective. Here’s more detailed information about when to spread crabgrass preventer. Bermuda Grass is another annual that grows very quickly during the summer. It’s a fine-textured, creeping grass that can take over cool-season grasses like Fescue (thus why it can be considered a weed). If you live near a golf course or sports park, chances are they grow Bermuda Grass as it is drought resistant and will withstand heavy traffic. Targeting Bermuda Grass should occur during the cooler spring time before the growing season. Hand-picking is a viable option, but pre-emergent is a better choice for large infestations. There are specific herbicides available to target Bermuda Grass such as Fusilade II that should be applied in the spring and again in the fall. Dallisgrass is a perennial grass with yellowish-green color blades up to 1/2″ wide. 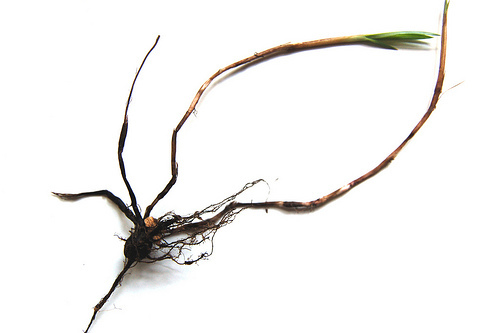 Dallisgrass can grow to 5′ tall and is characterized by its long seed-heads. It is typically found in southern United States and prefers wet areas with plenty of heat. Prevent Dallisgrass by drying out your lawn with improved drainage and less watering. Pulling weeds by hand (be sure to get the roots) and pre-emergent are also effective. Annual Bluegrass is another common lawn weed. It’s a cool-season annual that prefers damp shady locations, and it is often found in high traffic areas with compacted soil. 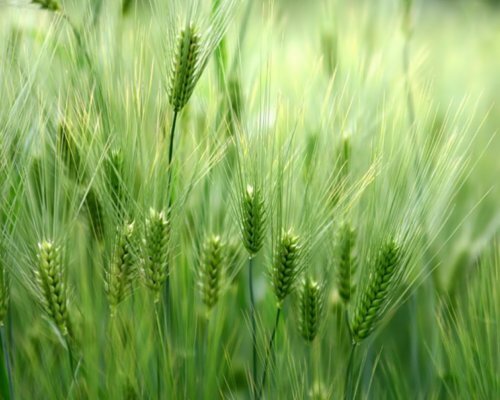 Annual Bluegrass is a light-colored, fine-textured grass and is easily distinguishable by the hundreds of whitish seed heads. Controlling Annual Bluegrass is difficult because it thrives even at low mowing heights. Lawn aeration may help as will pre-emergent. Be sure you don’t over-water your lawn. Broadleaf weeds are easier to identify because of the leaf structure that clearly differentiates them from grass. They are best treated during the active growing cycle with a spot treatment or granular weed killer. Apply granule weed control after rain or watering as it must stick to the leaves of the weeds to be effective. Keep in mind that broadleaf weed killers will also harm other plants like flowers, so be careful to avoid spreading the herbicide outside your lawn into nearby garden beds. Dandelions are a very well known, cool-season perennial weed that is easily spotted by their yellow flowers. Each one of those flowers can produce thousands of seeds that travel on the wind and deposit in your yard. Removing Dandelions is difficult because of their deep tap roots that make them extremely tough to pull out. Bag your clippings when you mow, and apply a post-emergent herbicide in the fall to fight them off. Dandelions prefer acidic soil so consider applying lime as well. 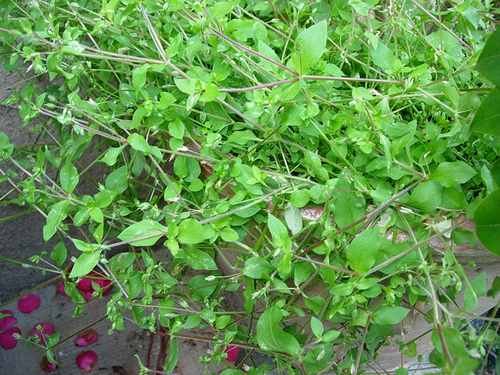 Chickweed is found throughout most of North America and is characterized by small white flowers. It’s a low-lying, cool-season annual that will grow rapidly in the spring when conditions are cool and wet. Proper water drainage and dry heat will help you battle chickweed. 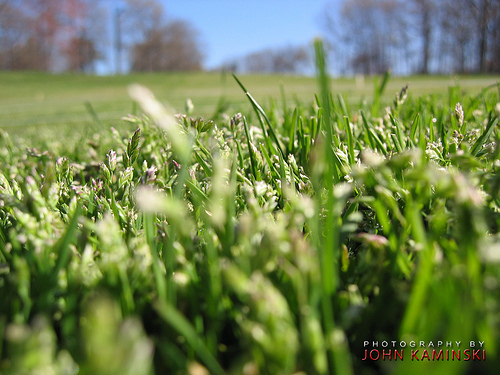 Skip spring time fertilizing and mow your grass high. There are also pre and post-emergent herbicides available that will target Chickweed. Broadleaf Plantain is a low-growing, cool-season perennial. It has broad leaves with prominent veins and will grow in just about any climate. Leaves will range in color from purple to dark green, and will grow up to 7 inches long. 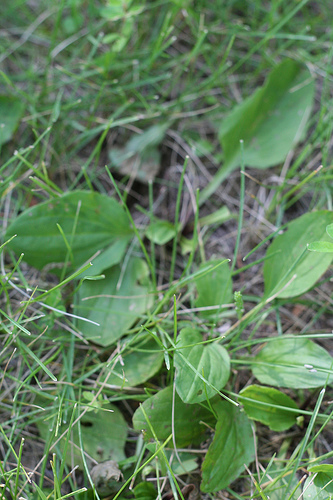 Controlling Broadleaf Plantains requires a similar approach to that used for Dandelions. Rake your lawn to raise the stem and bag the clippings when you mow. Hand pulling will work, but you can treat with post-emergent herbicides in mid-autumn if the weed is pervasive. Curly Dock is another cool-season, perennial weed with bright, shiny, lance-shaped green leaves. In the summer, small greenish flowers extend from the middle of the plant. Curly Dock thrives in shady, wet conditions. Like Dandelions, Curly Dock is not easily pulled because of its deep tap root. There are effective post-emergent herbicides available. Virginia Tech has an excellent resource to learn more about these weeds and many more not listed here. They provide great photos showing each weed as it progresses through its lifecycle and detailed descriptions of each part (stem, root, flower, etc.). You can find the complete guide here. Maintaining a dense, healthy lawn will leave no room for weeds, and is the best overall weed control. Herbicide can be an effective choice; however, many people are moving away from this option because of health and environmental concerns. Many herbicides contain inactive ingredients that are also detrimental to human health. Even so, if you do plan on using herbicides, there are some basics to consider. For lawns with minimal weeds, put the broadcast spreader away. Spot treatment is the best application method as it will not stress your lawn; it reduces the amount of herbicide used; and it saves money. Immature weeds are easier to control, so be diligent with spot treatment and don’t wait until the weeds are full grown! Be sure to read the label and follow directions for best results. Look for what weeds the herbicide targets: Is it specific or non-specific? When should it be applied and how much should be applied? Understand watering instructions and how your grass will be affected. Contact herbicides destroy only the portion of the plant in contact with the herbicide. Generally, these are fast acting, but they do not move into the vascular system of the plant making them less effective on perennials that regenerate from rhizomes, roots or tubers. Diquat dibromide is one example of a contact herbicide. Systemic herbicides, like 2,4-D, are trans-located through the plant vascular system. They are capable of controlling perennial plants and may be slower acting, working over several days. These are ultimately much more effective than contact herbicides. 2,4-D is a very common herbicide found in most weed and feeds. Soil-applied herbicides, as their name implies, are applied directly to the soil and are taken up by the roots of a plant. Soil-applied herbicides include pre-emergents such as EPTC and post-emergent herbicides like fluazifop. Selective versus Non-selective descriptors indicate whether the herbicide will target weeds alone or will also kill desirable plants. Selectivity is relative, meaning even tolerant plants can become susceptible under extreme environmental conditions or excessive use. Herbicides can fall into one or more of these classifications. For instance, Roundup (glyphosate) is a post-emergent, systematic, nonselective herbicide. 2,4-D is a post-emergent, systematic, selective herbicide. What do you think? How do you identify weeds? Images courtesy of wintersoul1, Sam Sanford, John E Kaminski, JP, Kim+5, and jerryoldenettel. Ethan, thank you for the great tips! I have been paying for a lawn service for the last two years and have not been that pleased with the appearance of the grass. I’m going to try my hand at it this year, this post will help! Thanks for the tips! It’s nice to find a place that explains things and has pictures to identify what you’re dealing with. Very informative article. I’ve done both spot control and broadcast, but probably not under the right conditions. I even killed a large section of yard with Roundup, then reseeded. Other than a LOT of raking and watering, I was pleased with the results. Thank you, these are extremely informative articles, and I plan on passing them on to my son-in-law with a serious weed problem. I will be using a liquid weed and feed spray after my new grass has established itself for a several weeks. Ive been pulling every weed I see for the last 1 1/2 years. Turned out I had no lawn let at all, just dirt. So I put down peat moss, top soil, grass seed and then a little more top soil. Watered it 2 -3 times a day and in about a week the most beautiful bright emerald green grass began to sprout! I still have a few new weeds sprouting. But I have completely eliminated all the long tap root weeds. I mix a very strong solution of apple cider vinager and salt together in an easy to pour bottle. I use a pitch fork to loosen the soil and then with a good grip try to pull the whole weed and tap root out. If the root snaps and is left under ground, I just simply pour a small amount my salt solution carefully in the hole. They never grow back and certainly the salt just flushes down into the earth over time and hasn’t shown harmful effects as I have been doing this for 30 years. But getting tired of being on my knees so I’m going to apply weed and feed from now on. I have a hillside of crown vetch that is being over taken with weeds. Will weed and feed harm the crown vetch? My house is new construction. The lawn is full of weeds and crabgrass. I received several plans / prices on renovating my lawn; both are very expensive. I am 75 yrs. old with back problems and unable to do any lawn work. A friend suggested I should buy a Scotts “spreader”, several bags of Scotts Turfbuilder Plus 2 ?? and have a handyman do several treatments. When the weesds/crabgrass is dead, there will be bare spots. I was told to purchase Scotts “Liquid Fertilizer”, hook it up to the hose and spray the lawn. One of the lawn service people want to spray “Roundup” all over the lawn to kill everything, then bring in a 50/50 combination of mushroom soil and topsoil…and put it on the lawn to a 3 inch depth…then Hydroseed. I would appreciate your comments.